The next thing I know, I am picking it up at the library to read. Clearly the title indicates that this book is probably going to contain a little love triangle of sorts, but it’s so much more than that. This was an exceptional read and I was thrilled to crack it open each night. 1911: When fifteen-year-old Mary Kirk meets Wallis Warfield at summer camp, she’s immediately captivated by her fearless, brazen, and self-assured personality. And Wallis has a way with the boys who are drawn to her like moths to a flame. Though Mary’s family isn’t crazy about her new best friend, she steadfastly stands by her side—even years later when they’re adults and rumors swirl about Wallis and her reckless behavior with none other than the Prince of Wales. But when Mary’s loyalty to Wallis comes into question, their friendship will be put to the ultimate test. 1997: After a romantic proposal in Paris, Rachel and her fiancé Alex are in a cab when suddenly the car ahead crashes. They’re stunned to learn Princess Diana is in the car. By the wreckage, Alex finds a heart pendant with an engraved letter “J” and Roman numerals XVII and gives it to Rachel to hold. Haunted by the crash and Diana’s subsequent death, Rachel is intrigued when she discovers that Di had visited the last home of Wallis, the Duchess of Windsor, only hours before the accident. 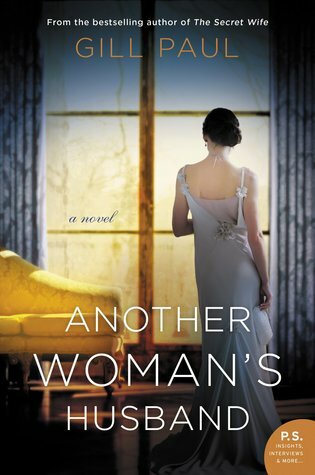 Eventually, the revelation of a long-forgotten link to Wallis Simpson leads Rachel to the truth behind a scandal that shook the world (summary from Goodreads). I loved how this story wove together two different time periods as well as two very different women. I have never been a Wallis Simpson fan. This isn’t the first book I’ve read about her and I just don’t like her and this book cemented that dislike even more. She always seemed greedy, self centered, shallow, and manipulative—and that’s exactly how she was portrayed in this book. While Wallis isn’t the main character in this book, she drives the story. The novel is told from her best friend, Mary’s perspective. I liked Mary and I never once blamed her for the choices and decision she made. I personally felt like Wallis was getting whatever was coming to her. For all their talk of sisterhood, it was clear that Wallis only looked at Mary as someone who could be picked up and set aside whenever she chose to. I sympathized with Mary’s character and was exceptionally sad with how things ended. All good stories must come to a close and I had known what was coming, but it didn’t make it any easier. The historical part of the story was exceptional and I loved the character development. Though my only argument was that the ending seemed to wrap up a little too quick. So much of the story had been carefully laid out and build upon and then all of a sudden things were running away with themselves and wrapping up a little to quick for my taste. But on the whole I loved this part of the narrative. The Diana angle was very interesting and one of the things that drew me in to this one. I can still remember exactly what I was doing when I heard she died and I feel like I had the ‘Diana Syndrome’ as well. I loved her. Prince William is a year younger than me and I can remember watching the funeral and thinking how hard that must have been for him. I thought the author did an outstanding job portraying the boys in the story but above all, I felt she was sensitive and tactful. I really liked Rachel’s character for the most part. I didn’t like Alex though. At first I really liked him but very early on, his choice to make the Diana documentary completely put me off to his character, similar to how Rachel felt. As the story went on, I liked him less and less and became frustrated when Rachel started feeling like maybe it was her fault. NO. Just NO. Was she insensitive to his work, I didn’t think so at all. I won’t give anything away but let’s just say I found his explanation weak and not enough to change my mind about his character. While I had some issues with the more modern story, the historical part eclipsed any doubts I had about giving this one a 4 star rating! I loved the author’s story telling style and am eager to read more books by her! Review copy provided by: Personal collection. All opinions are my own.